I wake up to the alarm on my phone…. I turn the thermostat up to 74 from where it was set before I went to sleep at 72. I brush my teeth in the bathroom sink, where I can get water on demand. I spend several minutes on the toilet, where I can easily flush my waste. I take a shower. I step into an alcove in my bathroom and all I have to do is pull a lever to adjust the rate the water is falling on me and how hot or cold it is. I can even adjust the showerhead to spray me with water in any direction (or remove it to direct it where I wish). While I’m waiting for my hair to dry, I can check any new emails I’ve received on the internet, I can check to see if anyone has responded to my FB posts, and I can check CNN and CBS News to find out if anything major has happened. Just think about all that for a second…. I had a comfortable room to sleep in; if I didn’t wake up myself, an electronic alarm would have done that for me; I was able to instantly control the temperature of my environment and almost instantly dispose of any human waste I had. I had instant access to however much water I wanted at any speed or temperature from any direction to brush my teeth and take a shower. I had instant access to anyone sending messages to me from anywhere in the world while I was sleeping, as well as what was going on all around the world that was being covered by the news media. If I wanted to, I could drive out to the airport and buy a ticket to another part of the world and fly there!! I could travel to the other side of the Earth in less than a day. And I could listen to whatever music I wanted to hear or whatever podcast or other broadcast I wanted to listen to along the way. I have the internet at my fingertips. It’s better than having the Library of Alexandria in your pocket. I can take pictures and videos at a whim, play games, or live stream some experience. I can talk to people in real time all around the world. When I come home in the evening, I can take some food out of the refrigerator and put it in the microwave or cook it on the stove, OR I could have it delivered to me in 30 minutes. There are about three things to take away from this…. The first thing is that we are living better than kings used to live, but we don’t appreciate it. We tend to judge ourselves in relation to our contemporaries and not what conditions were before us. The second thing is that these conditions were all brought about by science, not faith in religion, which would have left us all in the dark ages forever if religion had its way. 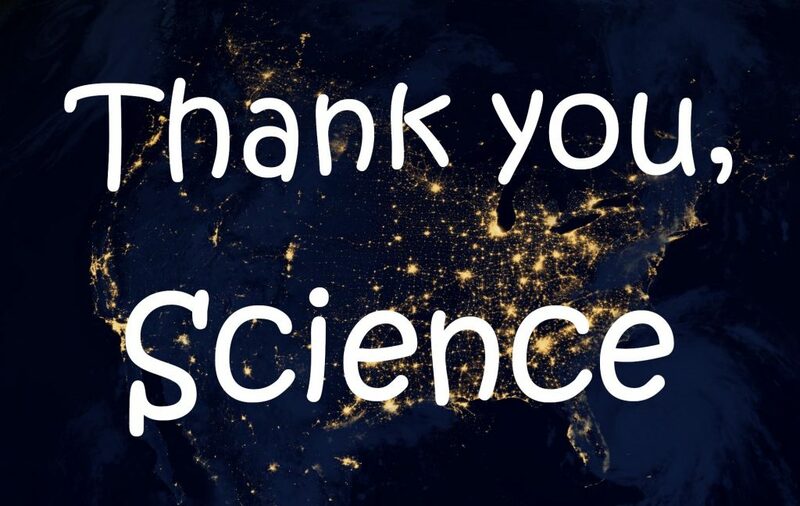 Science has given us everything from refrigerators to the internet. The third thing is the reason of science make sense, and it helps us progress into the future and improve our situation.